Jive is the most compelling web software I’ve come across. Maybe I should just stop there. 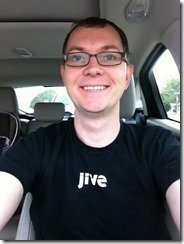 I’ve been meaning to write a post to answer why I have chosen Jive Software for awhile. I’ve started the post in my head hundreds of times but never written it. Since joining Jive last year, I’ve gotten the question many times and answered in many different ways. Committing it to the written word was too permanent for something that was ever changing in my mind. Now, after 6 months learning about Jive, using it daily and hearing from the customers, I think those 10 words in my first sentence pretty much sum up why I am at Jive today. Jive changes the way I get work done. And it’s changing the way people get work done at more and more businesses every day. I haven’t just experienced it at Jive, I’ve heard it in person from large customers like T-Mobile, Thompson Reuters and many others. Some times when I get the question, the asker seems to think it’s contrary to my SharePoint background, like “But you do SharePoint. Why Jive?” In my mind, it’s the exact opposite. I am at Jive because of my SharePoint background and my background in the web even before there was such a thing. My background leads me to this place for two reasons. First, I work as a SharePoint Subject Matter Expert for Jive pre-sales. As a requirement for the job, deep SharePoint expertise is required and also a broad understanding of web technologies in general. Second, I believe one reason I can see Jive’s vision is precisely because of the work I’ve been doing with SharePoint for the last 7 years and with the web in general for the 13 years before. 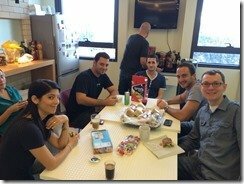 Every day, I’m asked to explain how Jive and SharePoint fit together in enterprises around the world. This job gets easier for me every day as I use Jive every day. And it’s this last point that differentiates Jive from SharePoint to me in a very important way. 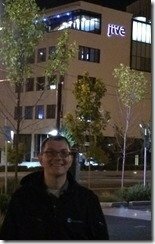 As a SharePoint specialist for the last 7 plus years, I have not once worked in an organization where SharePoint was a tool I used every day to get my job done. Probably the closest I came to that was blogging. Now I’ve realized blogging on SharePoint was slowing me down more than was helping me. SharePoint is great for many things. However, for me personally, I guess they’ve never really come into play beyond blogging. 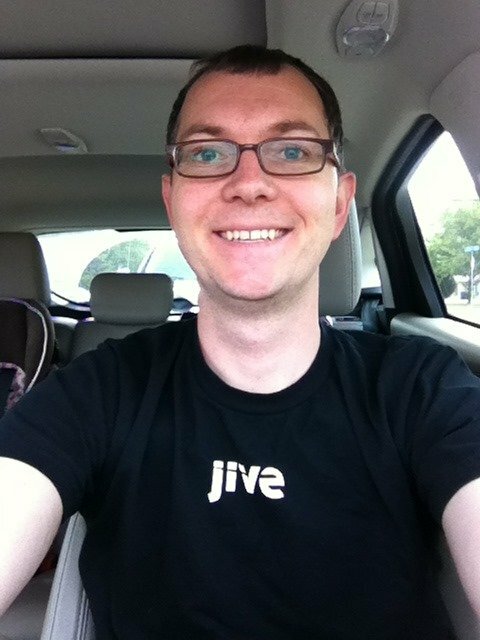 On the other hand, I don’t just use Jive all day, every day when I’m at my desk. I use it in line at Starbucks on my phone. I use it to watch video trainings on my iPad when I eat lunch. Jive’s software makes it so easy to consume the messages I’m receiving from my co-workers and Jive partners, that I actually have to mentally tune it out sometimes. 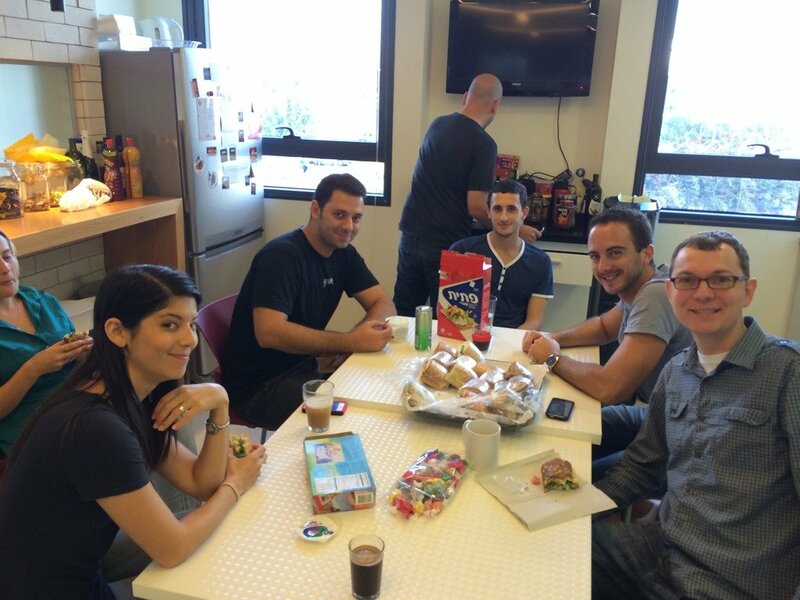 At Jive, our software powers our social collaboration, our intranet and departmental portals and our external community. My experience using Jive daily, from Outlook, in Chrome, on Safari Mobile, in the iOS app and push notifications, helps me understand the value for others. And, it helps me understand how it fits in place in organizations along side SharePoint. I’ve helped SharePoint clients deploy many solutions over the years. And I know Jive fits a need those solutions don’t while many of those solutions are still valid on their own. I feel lucky to have done so much with SharePoint and no less so in the last couple years than the 5 before. In 2012, joining the awesome team at Rackspace, attending SPC12 and earning my first SharePoint MVP Award. In 2013, presenting at my first SPTechCon, attending two MVP Summits, seeing SharePoint 2013 Inside Out published (and selling well with great ratings! ), delivering an all day webinar on Advanced SharePoint Development with 1000s of registered attendees (and more than 10K views in it’s first month on Channel9) and earning my second MVP award. 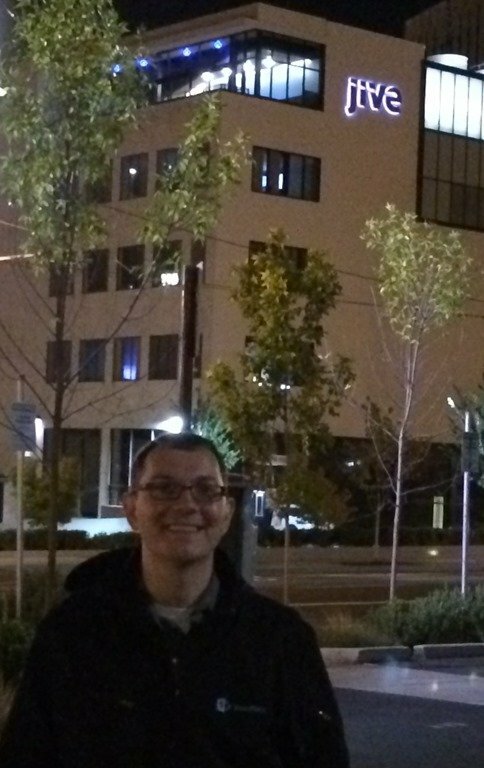 SharePoint has been good to me and I intend to continue to be good to it. Today, I’ll be finishing out a script to build SharePoint demo sites for the Sales Engineers at Jive. Later this month, I’ll be talking at the Houston SharePoint User Group about my blog move from SharePoint to WordPress. I’ll be proctoring Hands on Labs at the Microsoft SharePoint Conference next month and delivering three training sessions at SPTechCon in April. And every week, I work with IT leadership at companies around the world talking about their SharePoint architectures and strategies and how successful companies are using Jive side by side with the same. Never heard of Jive before, interesting.